Below is a list of the books and publications we use for identification. The list varies from the old British classics like Fowler and Joy to more modern works that cover the British fauna but are ostensibly concerned with European Coleoptera. We also list keys published in journals which may be more up to date than many of the books available. This isnt an exhaustive list but the ones we have, as a group, access to. If you know of a key available not menioned below please lets us know. Much of the list now out of print or within a journal published many years ago so accessing them may be difficult. However, most if not all, will be available in the library of the Royal Entomoligical Society. Until recently this was only open to members but now there is an arrangement whereby access is given to members of the Amateur Entomologists Society. Most of the back issues of journals can be ordered from your local library although you should be warned that if the original source of the material is the British Library there are restrictions to the amount you may copy. Sphaeriusidae to Silphidae. First part of four volumes. Excellent. Provides a key and species description of all Coleoptera at that time. It comes in 5 or 6 volumes (the sixth published as a supplement in 1913 with H. Donisthorpe) and in two editions. 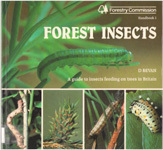 The small paper edition has no plates and is considerably cheaper , the large paper edtion has numerous colour plates but can be quite expensive, It is now available on several archive sites on the web Access to a modern checklist with synonomy such as that available on The Coleopterist website is essential to use this work. Covers all the British Coleoptera as of 1932. It comes in two volumes, one text the other B&W line drawings. As with any older text the nomenclature is out of date so to use this book you should have a copy of Hodge and Jones (q,v,) excellent book and access to the Coleopterists website (q.v) which has a up to date checklist, with synonomy, of British Beetles. There was a reprint in 1976 and again in the 90s by E.W Classey which will be a lot cheaper second hand but I believe is again now out of print. It should be noted that the reprint is slightly smaller than the original so the scale of the line drawings is incorrect. It has recently (2009) been published on a CD by Pisces. Published in two volumes this is the book that many of us started with so its included here more out of affection than for any other reason. Its long out of print. There are no keys but the illustrations, especially of weevils, can be of help when you are completely stumped by a specimen. We arent sure whether this still in print but you should be able to pick a copy from the web. Its basically a lot of good colour pictures, published originally in East Europe it covers european beetles but has a lot of British species. The British edition published by Blizt Editions has a forward by Peter Hammond. Coleopterists Handbook, Cooter J. et al. Published by the AES this is a great book for the beginner giving a thorough introduction to collecting and curating techniques. The later editions also give a guide to the main families. As this is written a new edition has been published including colour plates and is available from The AES. It is a must for the serious beginner and still very helpful for the experienced collector. Published by the BENHS this a must for anyone using Joy (q.v.) It covers all the beetles added to the British list since Joy and the errors in the keys and an exhaustive list of more modern keys and references for each family/genus etc. The first edition is no longer available but a new edition we understand is in preparation. We have obtained a copy of the original through our local library and expect you could find a second hand copy on the web but weve no idea of a price, you may be better off waiting for the second edition, although we have no idea of when that will appear or the publisher. A provisional annotated checklist. Describes the biology etc. of a wide selection of wood decay insects, beetles are particularly well covered. Illustrated guide with over 1000 set species photographed with short notes for each species. CD of all three volumes of Balfour-Browne's original work. A quality key with plenty of line drawings though, sadly. we believe now to be out of print. Not just an atlas, contains a wealth of ecological and life history detail. A key with plenty of line drawings to the families of British beetles. Reprinted in 1963 by Johnson Reprint Corporation. A concise British flora in colour, Keble Martin, W.
Devoted to insect leafminers in Europe. Lots of good photos of leafmines. Website of the Coleopterist journal. The journal is published three times a year, at the time of writing it is only �8 a year and is essential for any serious student of coleoptera. The website contains the most current checklist available which is regularly updated plus many photographs, mostly from the wild, and a lot of useful addresses. Devoted to insect leafminers in the UK. Lots of good photos of leafmines. Key with line drawings and distribution maps. Our copy only includes a key and line drawings. We have tried to avoid giving our opinions on the keys we use but we make an exception in this case. Both Fowler and Joy, in our view, are at best unreliable with regards to Cantharis, this work however is excellent. Unfortunately it was written as part of a Ph.D and is consequently not published. Our copy was very kindly supplied by Dr. Keith Alexander. Full Key and some illustrations to British carabids. Key to British species with line drawings. New key to British species with line drawings within the couplets (Aidgap style) plus many colour plates. Published in Poland this is in English and the key covers all the British species (I believe). With line drawings of nearly all aedeagi and many spermatheca. Published in Moscow this is in English and the key covers almost all the British species. With line drawings. Key with line drawings of aedeagi. Key with line drawings to Nemonychidae, Anthribidae, Urodontidae, Attelabidae and Apionidae. Key with line drawings to Entiminae. Key with line drawings to subfamilies Raymondionyminae to Smicronychinae. Key with line drawings to subfamilies Curculioninae, Baridinae and Orobitidinae. Fauna entomologica Scandinavica. CD. Apionidae. Key with line drawings and some black and white photographs. Key and many line drawings. Key to Elateridae with a colour photograph of all but one British species. Key to Sphaeritidae and Histeridae with line drawings. Balfour-Browne Club Newsletter Vol. 7 pp 4-12. Translation of the Dr. Vogt's key appearing in Die Kafer Mitteleuropas, 1971. Key to Kateretidae and Meligethinae with line drawings and black & white photographs. Out of print, see Jessop below. Key to scraptiidae (Anaspis and Scraptia) with figures and colour photos of set specimens. Key to Piestinae to Euaesthetinae. Part 5 Key to Scaphidiinae, Piestinae, Oxytelinae. Parts 7 and 8 Key to Oxyporinae, Steninae, Euaesthetinae, Pseudopsinae, Paederinae and Staphylininae. Notes on British Staphylinidae 3. The british species of Sepedophilus. Hammond, P.M.
Entomologists Monthly Magazine, 1972 vol 108 pages 130-165.